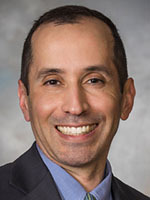 Dr. Milhoua earned his medical degree at the State University of New York, Downstate College of Medicine. He completed his internship in General Surgery and residency in Urology at Montefiore Medical Center in New York where he also served as Chief Resident in Urology. He completed a fellowship in Endourology/Laparoscopy/Robotics at Vanderbilt University Medical Center in Nashville, Tennessee. Dr. Milhoua’s training in Endourology, a sub-specialty of Urology allows him to perform operative procedures for a wide variety of urologic problems involving the kidney, ureter, bladder, prostate and urinary stones using advanced instrumentation in a minimally invasive manner.